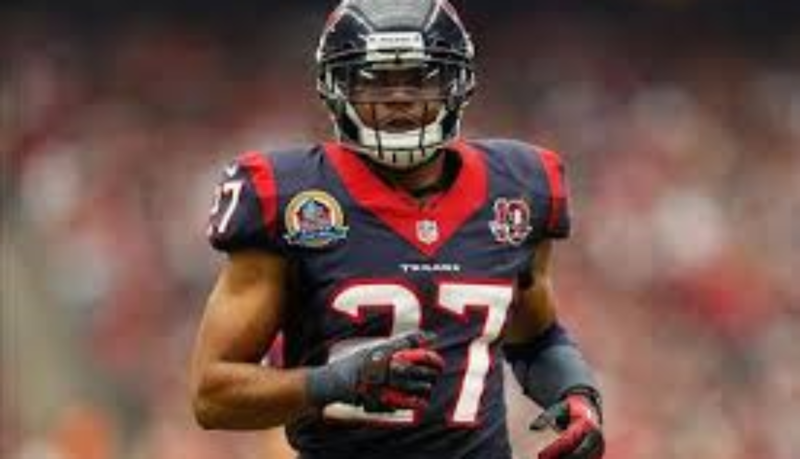 Quintin Demps is second all time interceptions leader at his alma mater, the University of Texas-El Paso. This family man and father of four has played in the NFL for seven seasons. 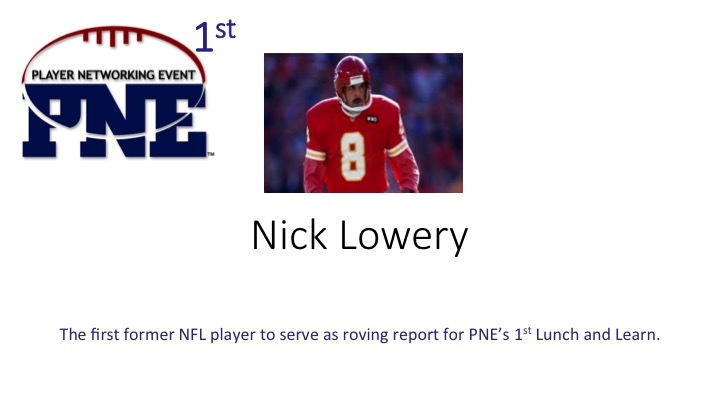 He has been blessed to play a game and earn a great living as an NFL employee but ponders what’s next. He’s interested in coaching, training elite athletes and entrepreneurship. His roots are deep in Texas. He grew up in San Antonio, currently plays for the Houston Texans, and resides in the Dallas me. The PNE Network is in search of a mentor that is willing to provide his or her time and talents to coach Quintin towards success once the cheering stops and he’s forced to hang up his cleats. 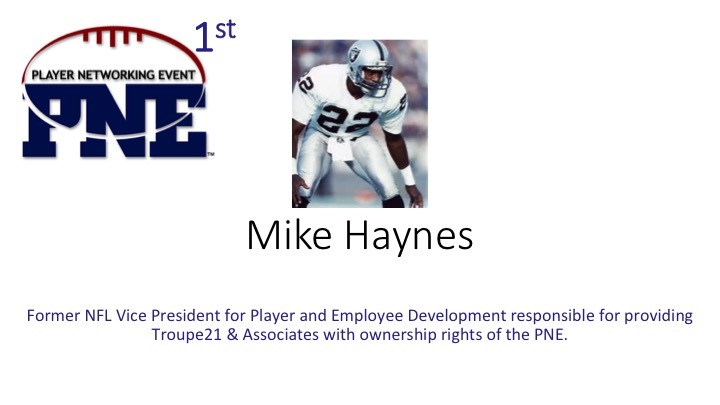 If you’re successful in business, work in the health and wellness or fitness industry, or believe that you have a viable career path to introduce to Mr. Demps, please email us at pne@troupe21.com. 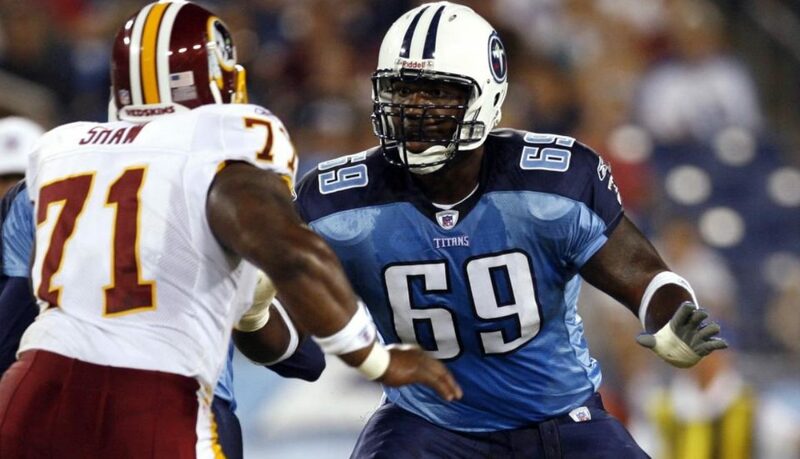 Marques Ogden graduated from Howard University with a degree in Finance and played for three NFL teams from 2003 to 2007 (i.e. Jacksonville Jaguars, Baltimore Ravens, Buffalo Bills). 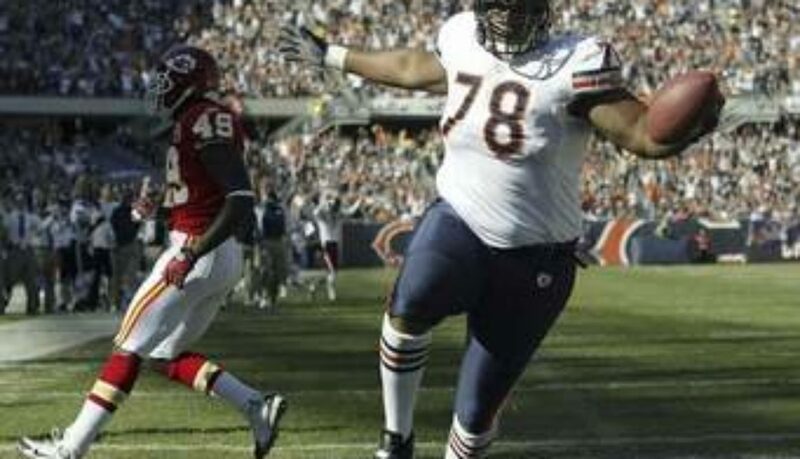 He’s the younger brother of NFL Hall of Famer, Jonathan Ogden. Marques, now an entrepreneur and author, knows the highs and lows of football, finances and fun. His story was featured by Forbes. We will be featuring him at PNE 2017. Ogden hopes that aspiring and current athletes (and others) can learn from his experience. 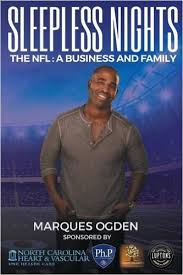 You can buy his book Sleepless Nights–The NFL–A Business and Family on Amazon. 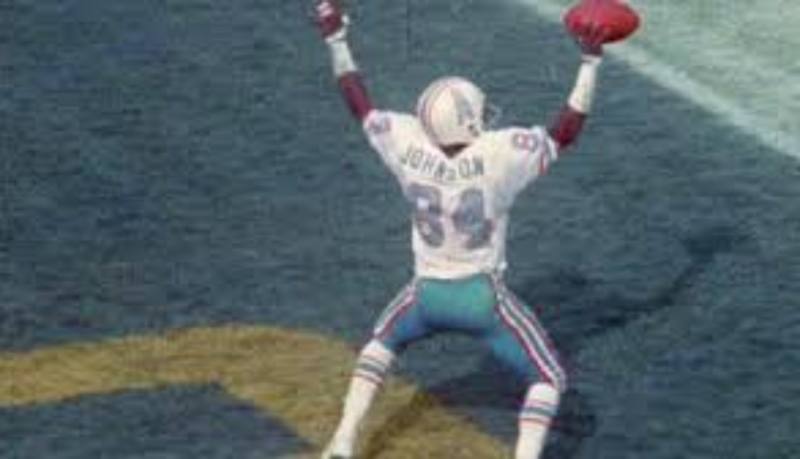 Billy Johnson was drafted in the 15th round of the 1974 NFL draft by the Houston Oilers. He’s a member of the College Football Hall of Fame, the NFL’s 75th Anniversary All-Time Team, and a three time All Pro. He was small and fast. He’s always been a humble man, God-fearing man that loves to entertain. 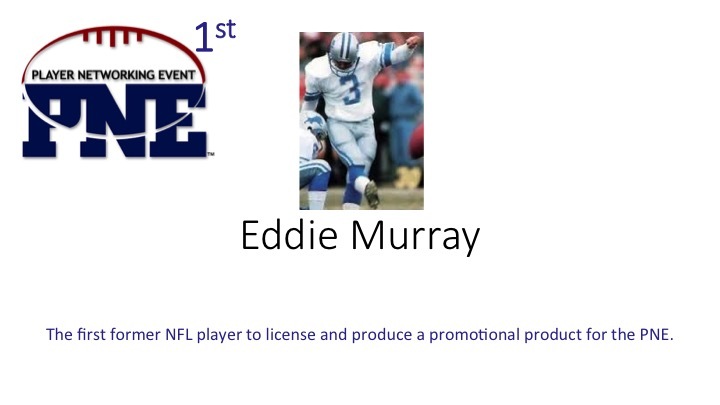 And for 11 NFL season he entertained the world with his funky chicken end zone celebration. Whiteshoes is a pioneer! He was not a brash in your face showboat–just an elite athlete that loved to entertain. He set the stage for the fun in today’s game that’s now being legislated out. An ironic twist inasmuch as the NFL has documented and applauded his legendary contribution to the game. His professional life has been dedicated to service. He’s the former Director of Player Development for the Atlanta Falcons and currently coaches high school football and track. Click here to learn more about the man we call “Shoes” and consider joining us at PNE 2017 to meet an American icon. 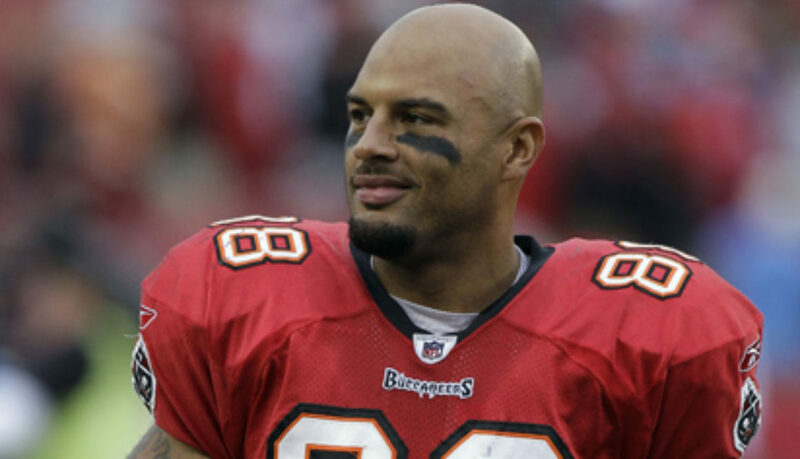 Byron Scott, a second round pick out of Penn State, played in the NFL from 2003-2012 for the Atlanta Falcons, New Orleans Saints and Buffalo Bills. He is the founder of the Pick Your Passion Foundation for the Arts, a non-profit with the mission of encouraging youth participation in music, visual and performing arts. This former NFL Man of the Year is a man of faith. He’s also an accomplished musician and a member of the NFL Players Choir. In February of 2014, the choir crooned a few songs a cappella to open the 14th Annual PNE in New York. Scott led a tune, devoured a plate of ribs from McCray’s BBQ, listened in on the player success panel then made his way throughout the venue to checkout a few player-owned businesses and vendors in attendance. The recreation management major knew he wanted to utilize his education and love for sport to earn a living after football but came to PNE to sing not with the expectation of finding his next opportunity. He made his was throughout the trade show and struck up with Title Boxing Club. Ten months later he was the owner of two franchises in Georgia. Learn more about Scott’s journey to entrepreneurship by clicking here to learn how he transferred skills learned from football to become a successful franchise owner. 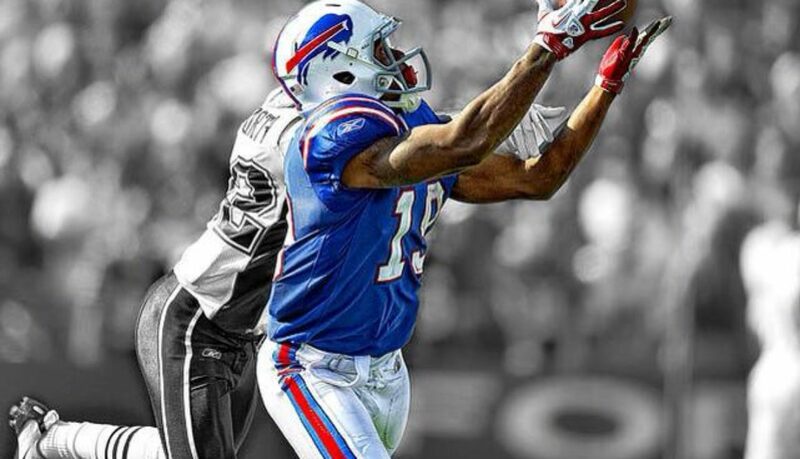 Demeris Johnson, a former wide receiver for the Miami Dolphins and Buffalo Bills, is probably best known for catching and delivering souls. For the past 15 years Johnson has worked as a pastor, mentor and athletic trainer–all in hopes of helping individuals reach their divine purpose. 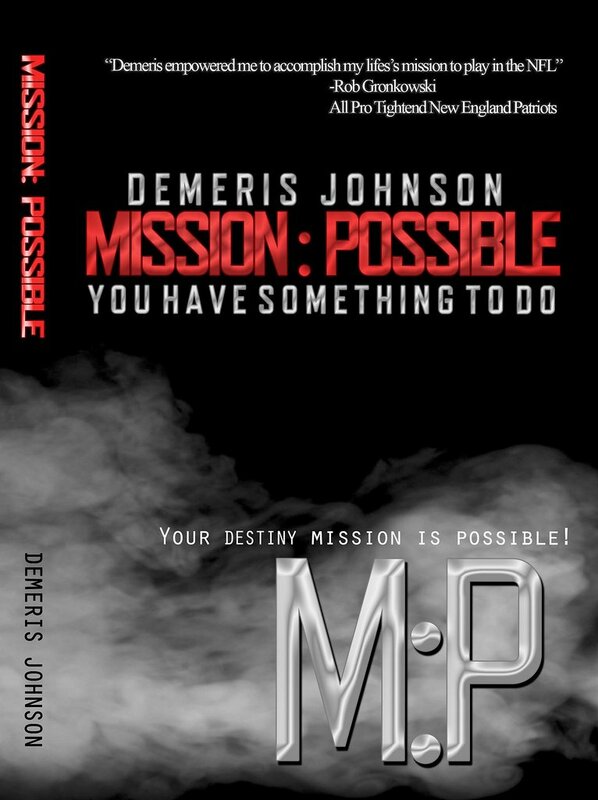 His book, Mission Possible: You Have Something to Do, revolves around fundamental questions that need to be answered to live life to the fullest. The book focuses on the plague of hopelessness that causes symptoms of unbelief and despair. There are seven chapters, and a conclusion titled, The Millionaire Million Dollar Questions. 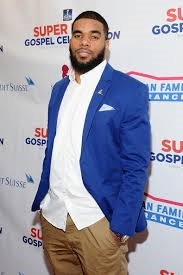 Johnson, a native of Detroit, Michigan, serves as a pastor at Destiny Life House Church (Buffalo, New York), works as a journalist for the Total Christian Television Network, and is the CEO of Perfecting Your Performance. This husband, father, and man of faith also serves as the spiritual advisor and speed development coach for the Sound Mind Sound Body Football Academy. His expertise is well-known and respected in football circles. 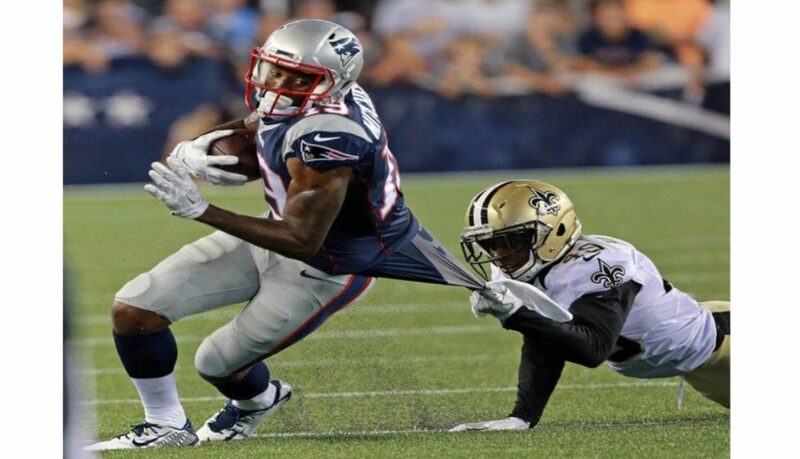 All pro Rob Gronkowski credits Johnson for his professional success. “Demeris is one of the main reasons I am the professional athlete I am today. His spiritual mental and physical training put me on the path to achieve my personal greatness,” said Gronkowski. 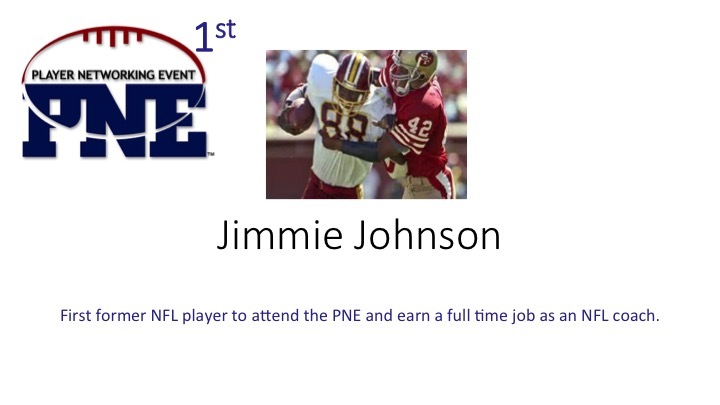 We say job well done and welcome to the PNE Network! Please support this first time author by purchasing his book online or considering connecting with Demeris face-to-face at PNE 2017. 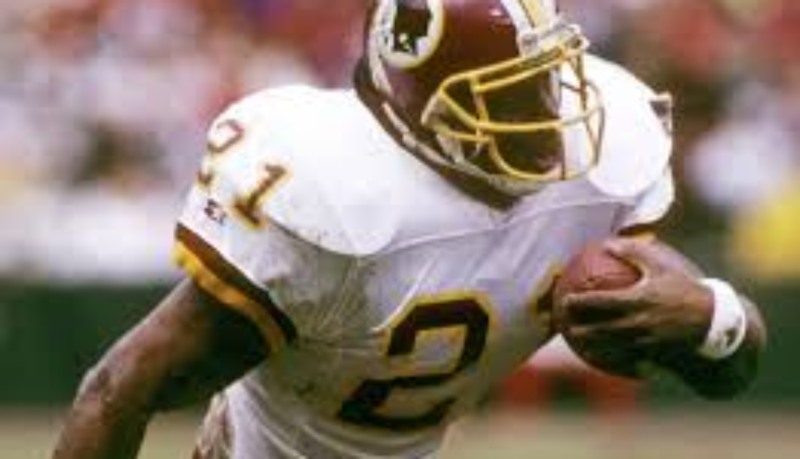 Earnest Byner is one of the most accomplished running backs of all time. 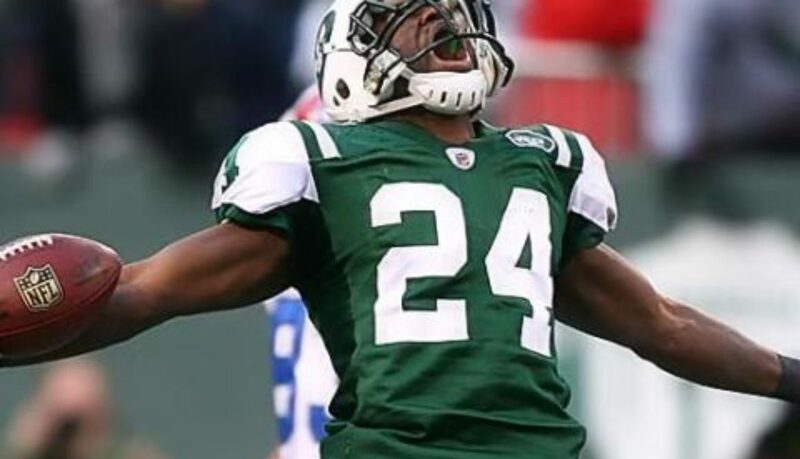 This two-time Super Bowl champion and former all pro retired after a 14-year NFL career ranked 16th on the NFL’s all-time rushing list with 8,261 yards and 56 touchdowns. His 13,442 all-purpose yards rank him 55th all time. 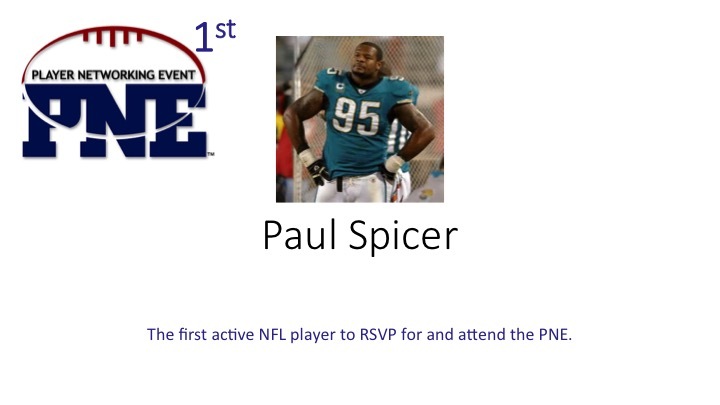 He’s in the Baltimore Ravens Ring of Honor and the East Carolina Hall of Fame. 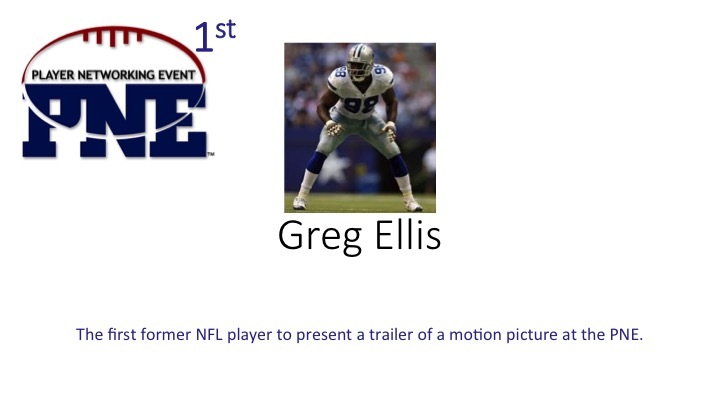 But he’s most known for the fumble, a play that prevented his team from advancing to the Super Bowl. 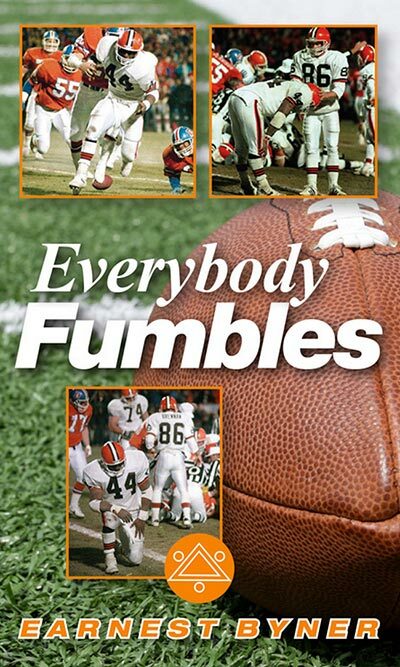 Byner had to lean on his faith and family to get through the long and bumpy road following the fumble. 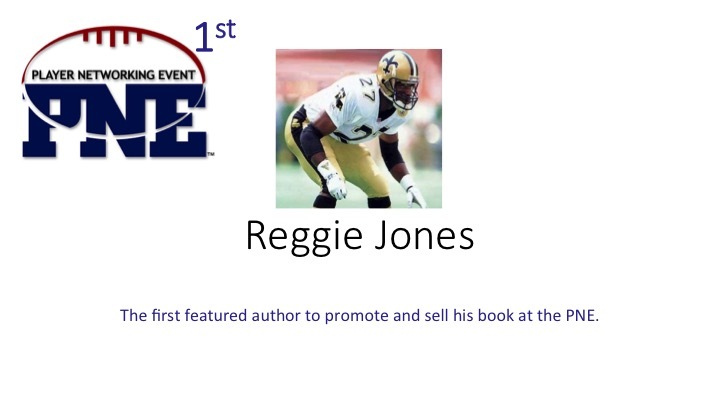 His book provides intimate insight from his high school, college and professional football experiences. His aim is to help readers blend life and football philosophies in hopes of reaching fulfillment. The book is crafted so the reader can take notes and draw upon her or her own experiences. 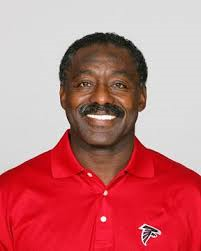 Long time NFL coach Jimmy Raye wrote in the book’s forward, “Earnest Byner displayed confidence, fortitude, pride, persistence, fearlessness, and focus” throughout his career. “The strength of his convictions and character leaves valuable legacy” on and off-the-field. Our hope is that authors like Byner will inspire you to get off the ground and achieve your purpose. Please support this first time author by purchasing his book online or considering connecting with Earnest face-to-face at PNE 2017. 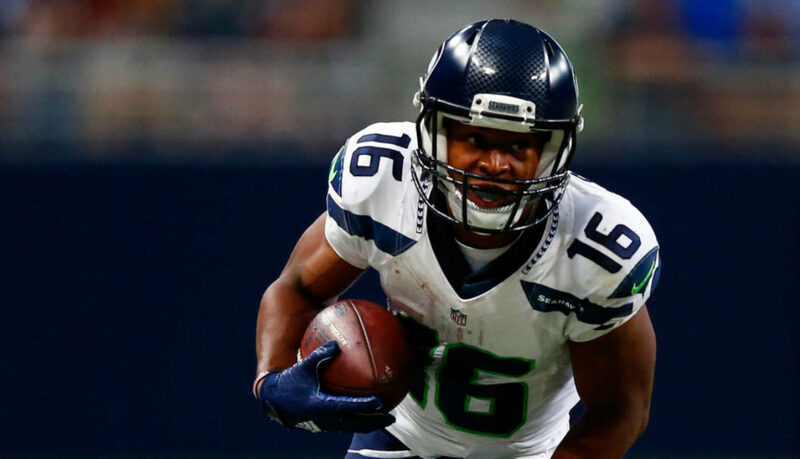 Tyler Lockett has a reputation to uphold. He is the son and nephew of professional football players. Lockett followed in his dad and uncle’s footsteps to play at Kansas State University where he earned All American honors. His dad, Kevin Lockett, is a tough act to follow having played seven NFL seasons as a wide receiver for the Chiefs, Redskins, Jaguars and Jets. Tyler was drafted in the third round of the 2015 draft as the 69th overall pick. It didn’t take him long to make a favorable impression scoring a touchdown on a kickoff return in his first preseason game and a punt return in his first regular season NFL game. 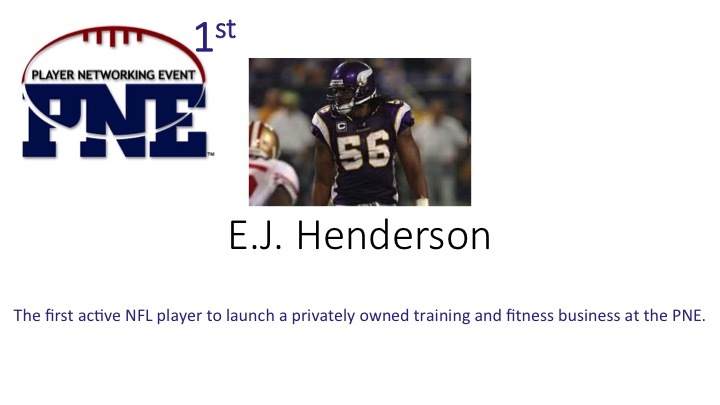 He put in the work and was rewarded as an All Pro after his first season with the Seattle Seahawks. His football pedigree is evidenced by his production but most would have counted the undersized Lockett out. He, however, will always be in the game. Competing in all phases of life because of his grit and faith. Lockett, a devout Christian, is as squeaky clean as they come. He’s honest, pure and well-rounded. He’s inspirational, entrepreneurial, and a member of the PNE network. 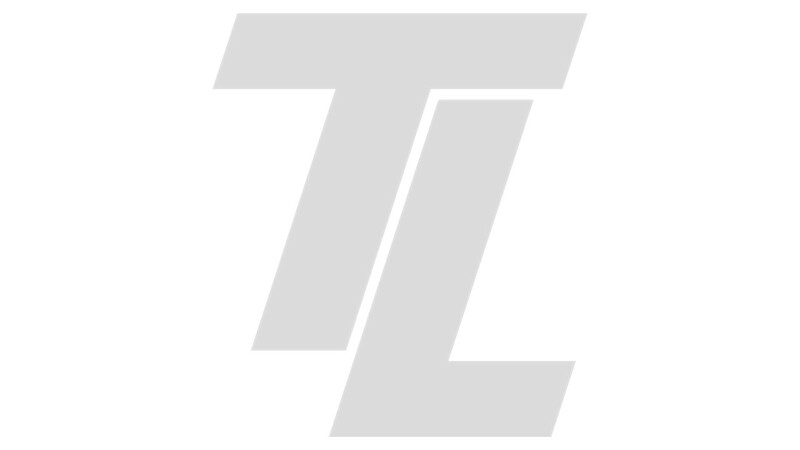 His most recent venture, TL, is a clothing line of tee-shirts, hoodies and hats for men and women. He’s not just selling clothes. He’s selling beliefs. Fear Can’t Come, Don’t Stop, I Create and Silence the Critics are four slogans you can rock from his 2016 line. Tyler has passions outside of the game. Check him out performing spoken word–and follow him on–Twitter @tdlockett12. You’ll be glad you did! 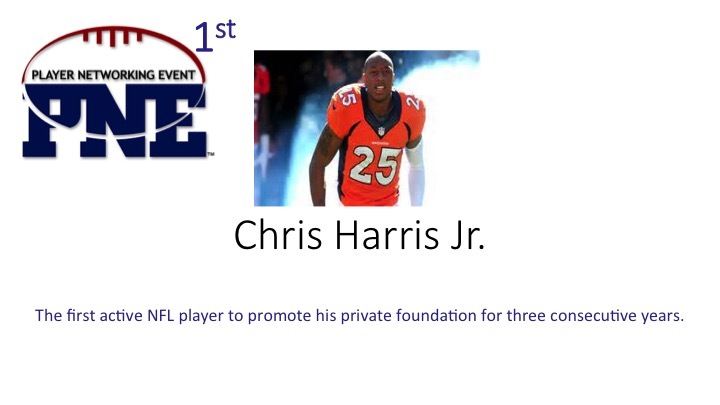 Chris Harris, Jr. completed his college career as 2nd all-time in tackles at the University of Kansas but did not hear his name called in the 2011 NFL draft. 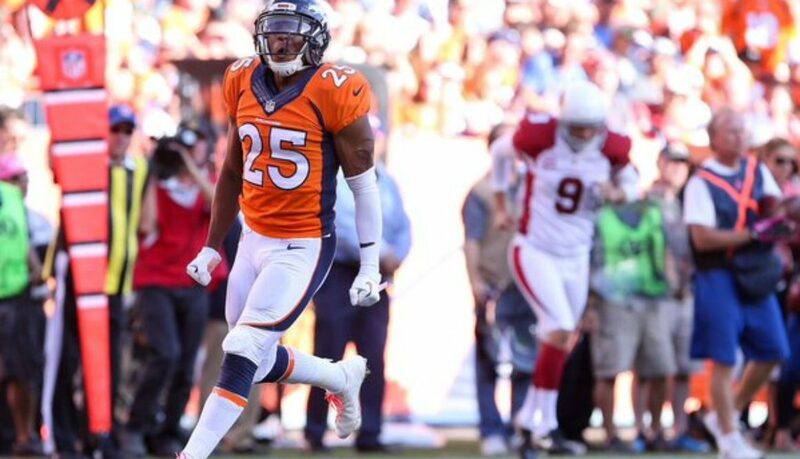 This disappointment served as motivation for Harris who earned a spot as the starting cornerback for the Denver Broncos during his rookie year. He was selected on the 2011 All-NFL Rookie Team and earned All-Pro Honors in 2014 and 2015. Harris remains humble and committed to his craft after being selected for back-to-back pro bowls but remains hungry and considers himself an underdog. 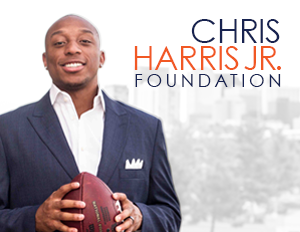 Off the field, Harris has established the Chris Harris, Jr. Foundation. The foundation targets children who are underdogs and in need of support to rise above their circumstances. Harris believes “every underdog deserves a shot at success and can achieve greatness.” Harris has also partnered with Out of African, a charity based in his hometown, to assist in the efforts to help the 5.5 million people living with progressive brain deterioration. disease. Many Americans dismiss the warning signs of brain diseases like Alzheimer’s, thinking the symptoms are part of aging. The first phase of his strategy involves a campaign called Healthy Brain Strategies. Stay tuned for a major announcement at the conclusion of the NFL season and reach out to Chris @ChrisHarrisJrTwitter. Al Smith is a family man. He and his wife Trina have three children that they love and guide on a continuous basis. He is also a man faith and faithful supporter of players in the PNE Network. His on the field accolades include Utah State Athletic Hall of Fame, Utah State All Century Team, and NFL All Pro. Al has worked in various roles in college and professionals sports. Past roles include Director of Player Development for the Tennessee Titans, Chapter President for the NFL Alumni, and Director of Player Development at Vanderbilt University. He has also worked with Big Brothers Big Sisters, Bridges Domestic Violence and the Ronal McDonald House. Al continues to add value to the sport he loves as an Ambassador for the NFL Play 60, a youth football coach, radio analyst, and a uniform compliance officer for the NFL. He also serves on the Board of Directors for the NFL Alumni Association and the American Cancer Society. 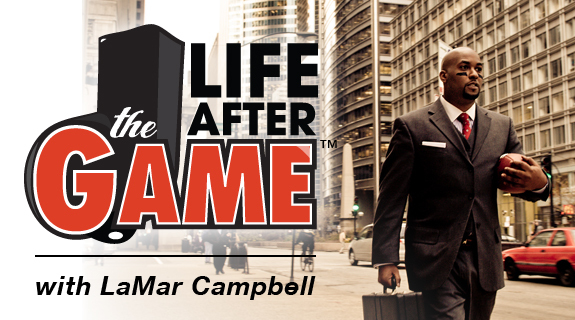 Smith is passionate about helping people–especially athletes–compete in the game of life. His recently released book, Think Like a Pro, Act Like a Pro, is dedicated to his mother who taught Al the value of hard work and sacrifice. 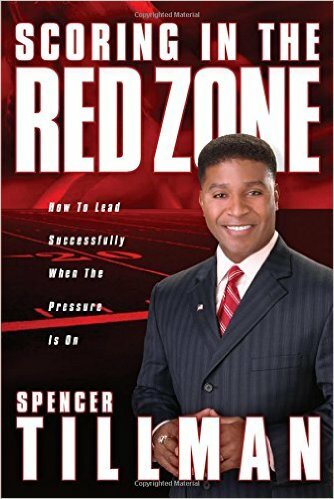 The subtitle of his book tells it all: Game-Winning Strategies to Achieve Results, Discipline, and Success in Life and Business. The book outlines 17 lessons on what it takes to go from amateur to pro in all aspects of life, not just in sports or in business. 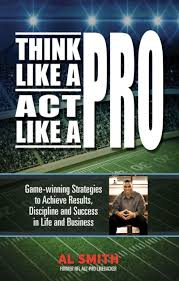 This book will encourage you, maybe even challenge you to take an all-in, all-pro mindset embracing the attitude and character it takes to both think like a pro and act like a pro! Please support this first time author by purchasing his book online or considering connecting with Al face-to-face at PNE 2017. 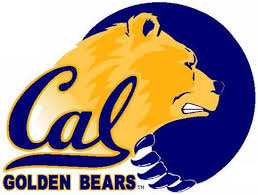 Tarik Glenn played both offensive and defensive line as a four-year letterman at Cal Berkeley. The Indianapolis Colts selected him as the 19th overall pick in the first round of 1997 NFL draft. The investment paid huge dividends for the Colts. 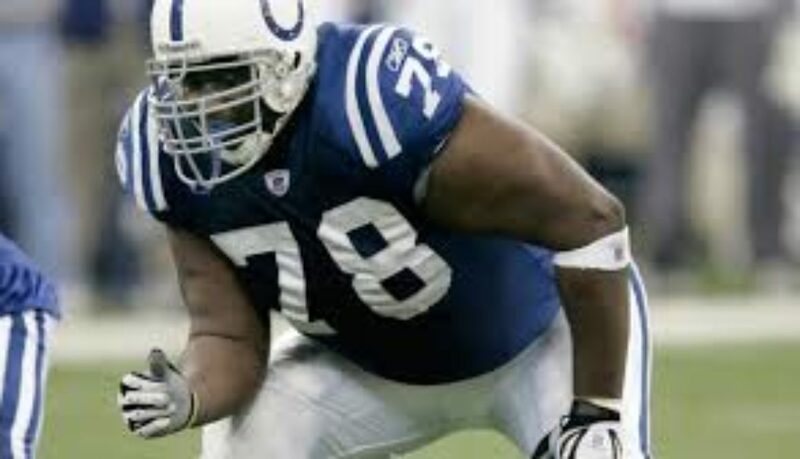 He protected All Pro quarterback Peyton Manning for ten seasons, played three pro bowls, and was crowned Super Bowl champion when the Colts defeated the Chicago Bears in Super Bowl XLI. Glenn played for legendary coach, Tony Dungy, who believed in the holistic development of athletes. Glenn took Dungy’s words to heart and begin working on his career transition plan early during his NFL playing career. He was the first active player to participate in the NFL-NCAA externship program at the NCAA’s national office in Indianapolis. Glenn co-founded Dream Alive, Inc., an Indianapolis based 501 (c) (3) organization created to empower urban youth as civic-minded leaders. Davin Joseph played 9 NFL seasons as an offensive lineman (eight with the Tampa Bay Buccaneers and one season with the St. Louis Rams). 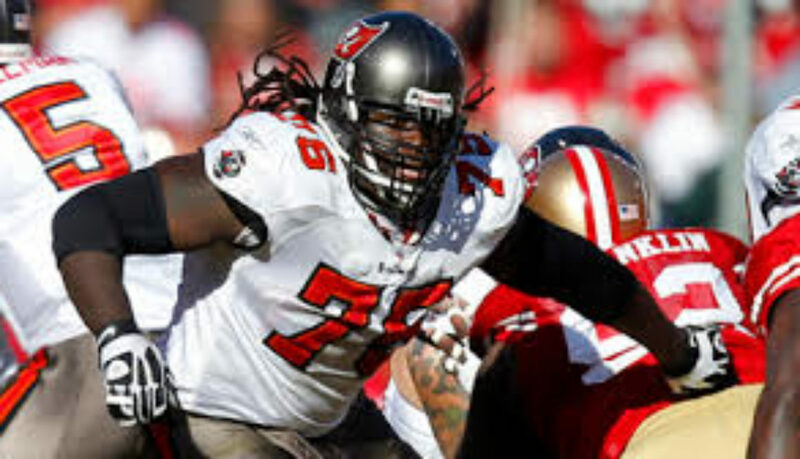 Joseph, born in Haiti and raised Florida, was drafted in the first round of the 2006 NFL draft out of the University of Oklahoma. He twice earned pro bowl honors as one of the NFL’s most dominant offensive guards. His future intentions are to dominate in philanthropy. Joseph retired from the NFL following the 2014 NFL season and has not looked back. 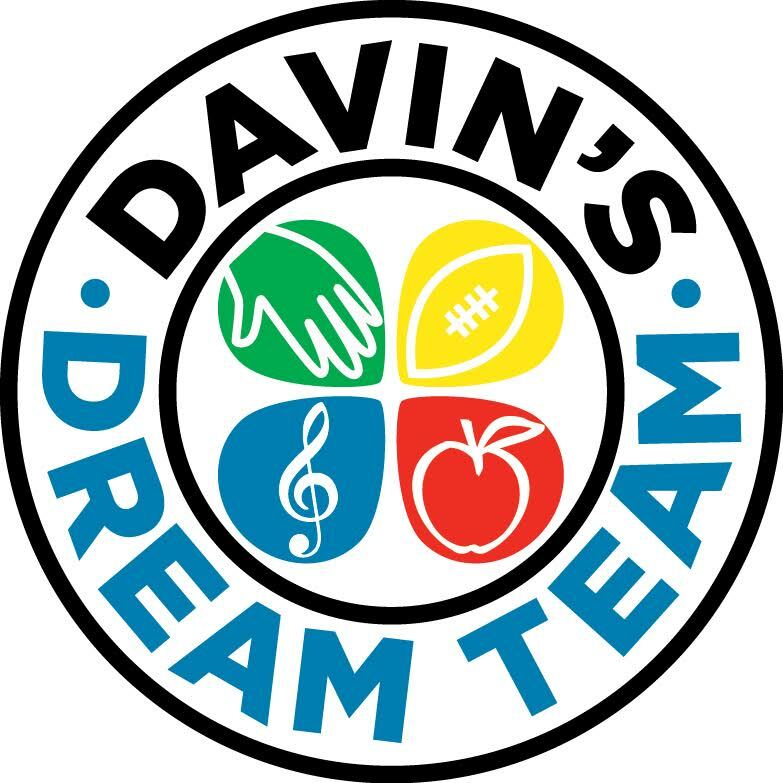 In 2011, he established the Davin Joseph Foundation, a 501 (c)(3) organization devoted to enhancing athletic and performing arts programs in Tampa, Florida. The private foundation has made a significant impact in Tampa over a five-year period: (1) delivering over 12,000 pre-game meals and snacks, (2) directing over 500 kids to get free sports physicals, (3) dispensing over $12,000 in funding for scholarships, (4) distributing over 600 Thanksgiving Day turkeys and meals to families in need, and (5) donating over $120,000 in high school athletic and performing arts programs. Bart Scott played 11 NFL seasons for the Baltimore Ravens and New York Jets. Scott, an undrafted free agent from Southern Illinois University, knows the value of hard work and perseverance. He earned a degree in economics and all pro honors by applying the aforementioned traits. Scott retired from the NFL in 2012 and currently works as an analyst for CBS Sports. Scott’s star shines brightly on a show with an all star cast (i.e. James Brown, Boomer Esiason, Bill Cowher, Tony Gonzalez, Jason La Canfora and Lesley Visser). “Bart brings a dynamic personality and unique perspective as a recently retired player providing strong opinions on all the hot-button issues on a weekly basis. We are confident he will continue to bring that perspective and those opinions to The NFL Today show,” said CBS Sports Chairman Sean McManus. In addition to his work at CBS, Scott is spearheading a revolutionary athletic training concept designed to help athletes train through instructional video, customized messages from professional athletes, and an easy to use mobile phone application. 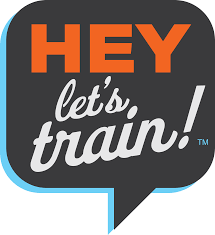 Hey Let’s Train offers four distinctly different training methods to its clients: power training, speed training, progressive training and weight training. The online, subscription-based platform connects end-users to professional athletes, trainers and instructors who serve as virtual coaches. 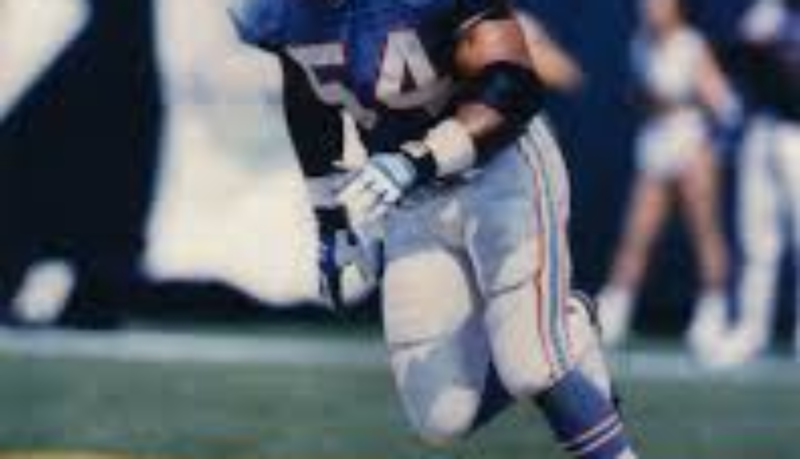 Donald Jones played three seasons in the NFL for the Buffalo Bills. An undrafted free agent from Youngstown State University, Jones knows what it means to beat the odds. 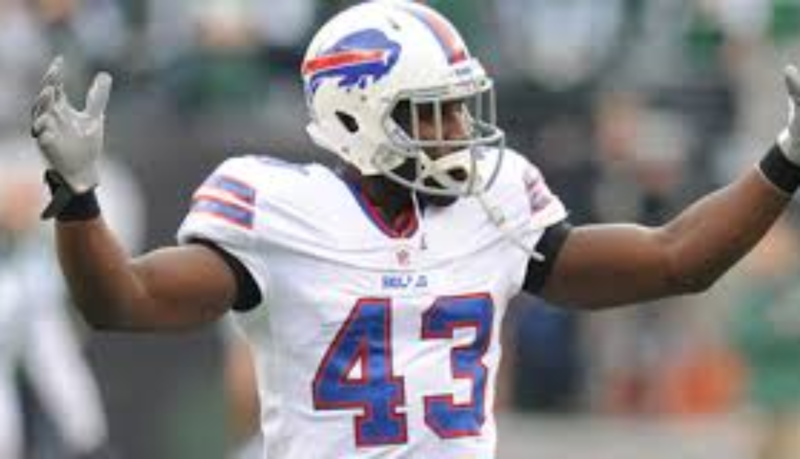 Signed by the New England Patriots after three years with the Bills, Jones was diagnosed with advanced Kidney Disease in 2013. After being advised by doctors and medical professionals to discontinue playing football, Jones decided to continue competing and challenged himself as an author. His first book, The Next Quarter, chronicles his fight against kidney. Readers will be inspired by his story and see the connection between faith and family. Jones is a national spokesperson and a board member for the IGA Nephropathy Foundation of America. Additionally, Jones has spoken on Capitol Hill before Congress, at the New York Presbyterian Hospital where he was recognized along with another transplant survivor, Robin Roberts, anchor for ABC’s Good Morning America, and was recently an invited special guest to a transplant event sponsored by The Transplant Forum at Columbia University Medical Center. 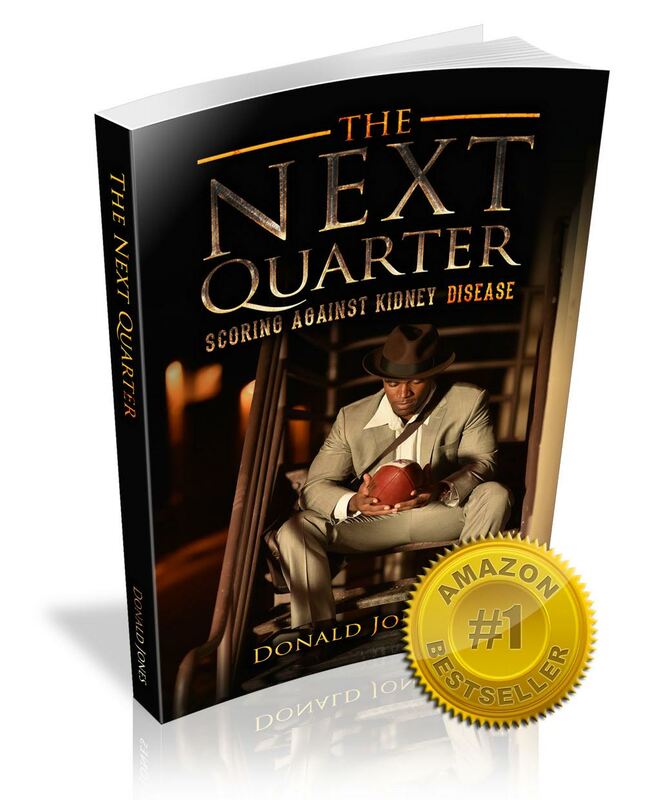 Visit www.DonaldJones.info to purchase a copy of The Next Quarter: Scoring Against Kidney Disease. 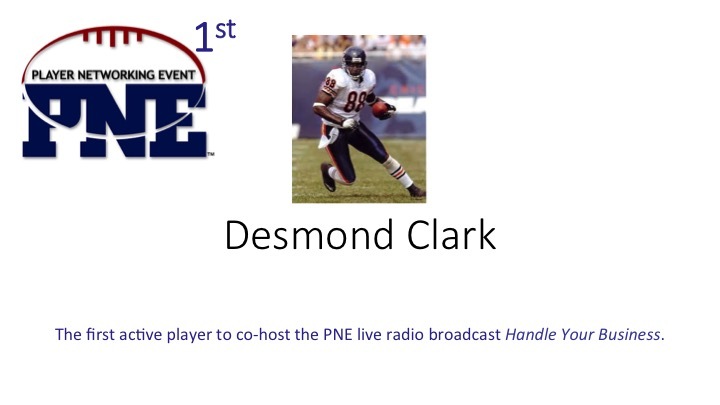 Donald, a featured athlete at PNE 2016, will be on the speaking circuit in the Bay Area leading up to Super Bowl. His inspirational message hits the mark for individuals fighting health challenges, inner-city youth, and athletes. 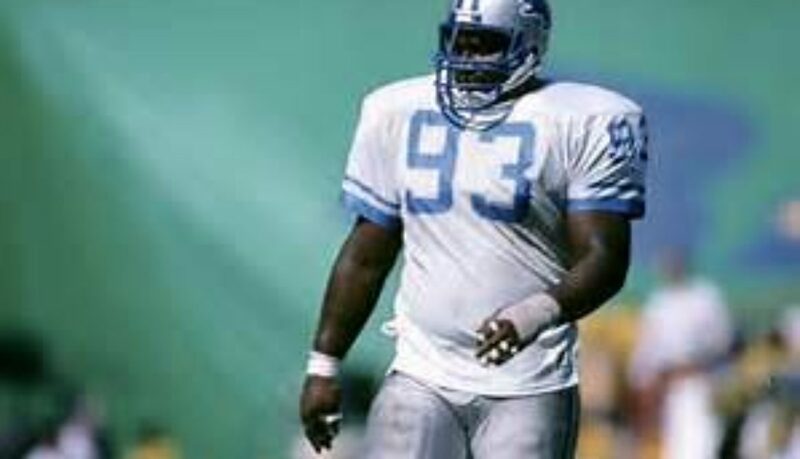 Jerry Ball played 13 NFL seasons as a dominant defensive linemen. The SMU graduate and father of three now dominates as a business development consultant. His company, Invictus Partners, works with a variety of multinational corporations, global financial institutions, governments, non-profits and private businesses. Ball concentrates on emerging markets with the aim of impacting communities and creating better human conditions. Economic development, infrastructure and capital fundraising are core deliverables of Ball’s organization. 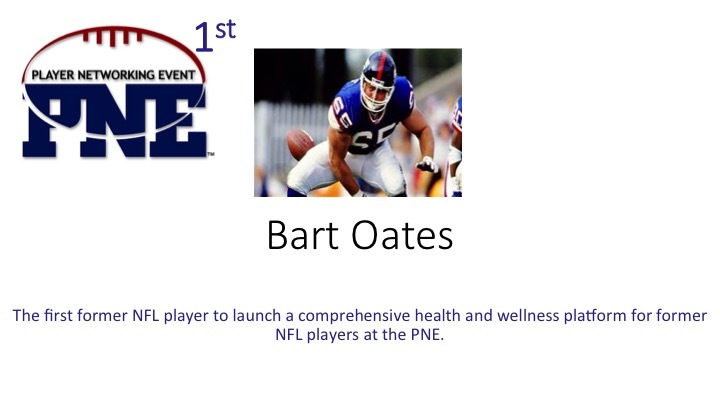 Join us at PNE 2017 to learn more about alliance, partnerships and opportunities in the athlete transition space. 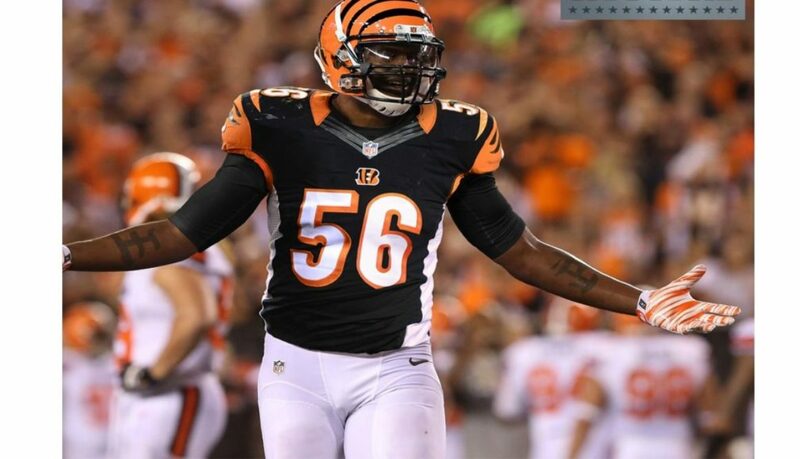 Karlos Dansby, an 11-year NFL veteran linebacker currently playing for the Cincinnati Bengals has a vision for life after football. His vision revolves around entrepreneurship and reliance upon self. Dansby expressed these sentiments during a sit down with PNE Founder Guy Troupe at the start of his tenth NFL season. 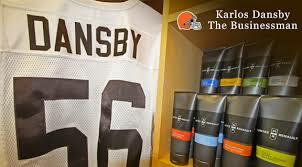 His business, Montez Renault, is built behind the well-known sports phraseology: “you look good–you feel good–you feel good, you play good.” Dansby and his former college teammate at Auburn University, Chris Butler, decided to build their men’s grooming line true to their healthy-living ideology. Their hair, body and skin care products are crafted from the highest quality ingredients and based in sound science. “Hard work, determination and strategic planning will take Dansby and Montez Renault to the next level,” says Dansby. 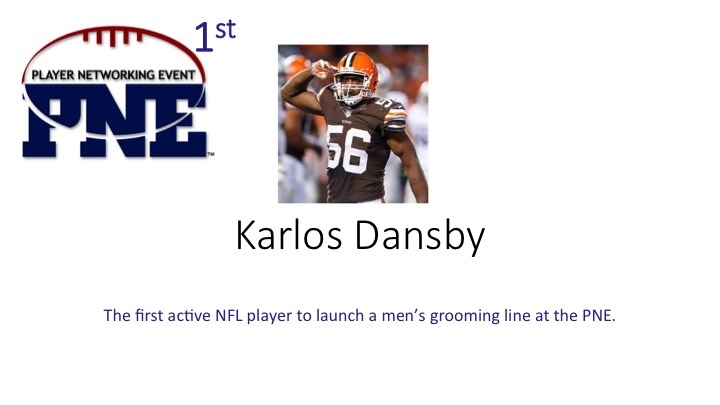 At the start of the 2014 NFL season, he leveraged his network and sent approximately 2,000 active and practice squad players a grooming package with soaps, shaving creams, shampoo, conditioner and lotions. The response resulted in several players and NFL coaches joining the Montez Renault family as loyal “paying” customers. Dansby knows that his NFL playing career is coming to an end soon, and is excited about his new role as president and chief brand ambassador. His approach to business is similar to his approach to football. He expects to win and knows that his off-the-field career will outperform and last longer than his playing career. 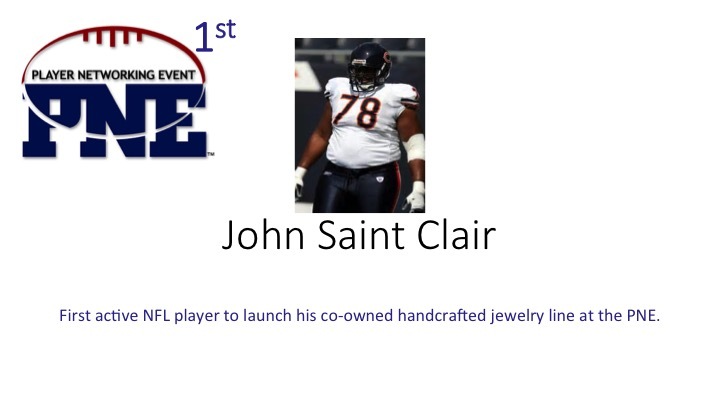 John Saint Clair, a graduate from the University of Virginia, played for four teams (i.e. St. Louis Rams, Miami Dolphins, Chicago Bears, Cleveland Browns) during a his ten year NFL career as an offensive linemen. John walked away from football in 2011 although several teams were still interested in his services. So what made things easy for John to walk away from a multi-million football career? He tripled the odds by playing ten years. He’s a man of faith and was led to leave the game while in good health. He saved his money. He and his wife Shannon, his college sweetheart, had a plan. They begin attending PNE during his playing career launching a men’s grooming line and a hand crafted jewelry line. As the two businesses matured, John that value in subordinating his interests for his wife’s passion. After all, Shannon had been traveling behind John for ten years on Sundays. Their decision to focus on Shannon Saint Clair Handcrafted Couture Jewelry has paid dividends. Deemed a Celebrity Jewelry Designer, Shannon has over 150 celebrity clients including actors, recording artists, professional athletes and reality television stars (see list below). Malcolm Mitchell, a highly sought after high school All American wide receiver from Valdosta, Georgia, will play his last game for the University of Georgia (UGA) today (1/2/2016) in the Taxplayer Bowl in Jacksonville, Florida. Mitchell has dreams of playing in the NFL and will have the opportunity to show pro scouts he is worthy when he plays in the Senior Bowl on January 30, 2016. Mitchell, however, will more than likely be known for something much greater than his athletic prowess. HIs “reading is fundamental” philosophy started when Mitchell arrived on the UGA campus and realized he was behind in reading. “I was having trouble competing in the classroom and it was my responsibility to do something about it,” says Mitchell. Mitchell’s decision to compete in reading developed into a passion for reading. His passion for reading led to uncommon results for a young athlete of his age. Mitchell, who is black, joined a predominately white middle-aged female book club during his sophomore year. In addition to joining the book club, Mitchell petitioned the NCAA and obtained the rights to own and operate a for-profit commercial enterprise during his senior season. The first collegiate athlete to do so in NCAA history. 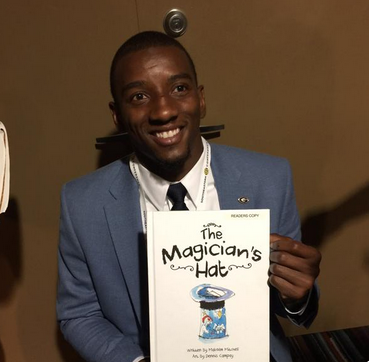 Under his business, Read with Malcolm, Mitchell authored his first book, The Magician’s Hat. 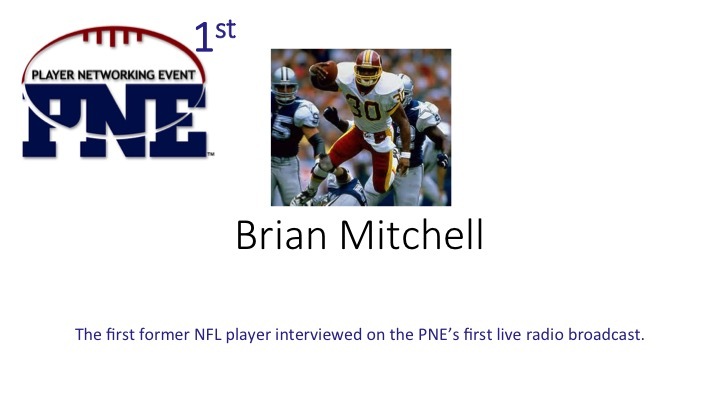 Mitchell strongly believes he will be playing in the NFL next fall and is getting a jump on leveraging the NFL brand by attending PNE 2016. He will be giving away 50 copies of the book symbolic of Super Bowl 50. Click the photo below for more information about Malcolm. 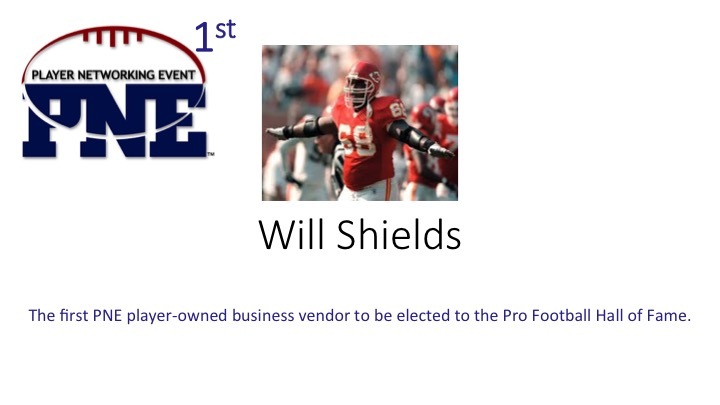 Will Shields played 14 seasons in the NFL for the Kansas City Chiefs. He started in 234 of 235 games played, played in 12 Pro Bowls, and was enshrined in the 2015 class of the Pro Football Hall of Fame. 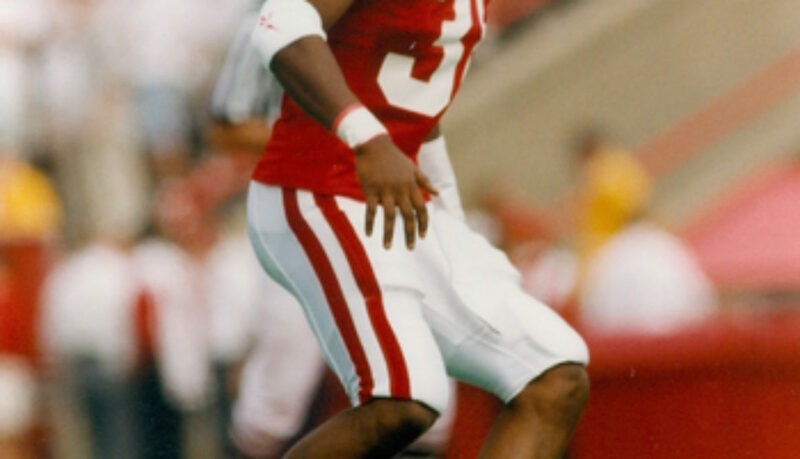 Shields, an All American at the University of Nebraska, won the 1992 Outland Trophy. 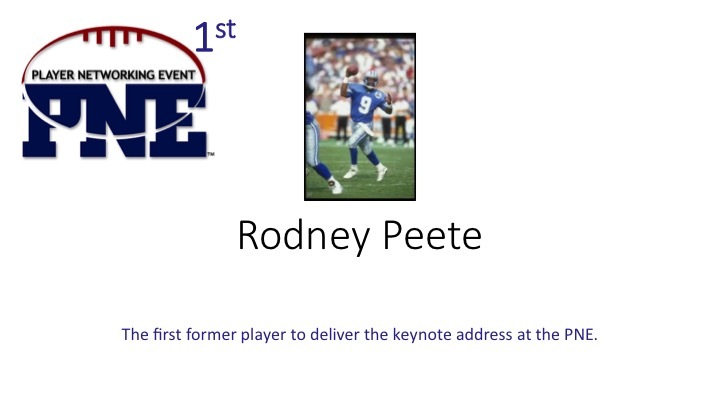 He won the NFL’s Walter Peyton NFL Man of the Year Award in 2003. 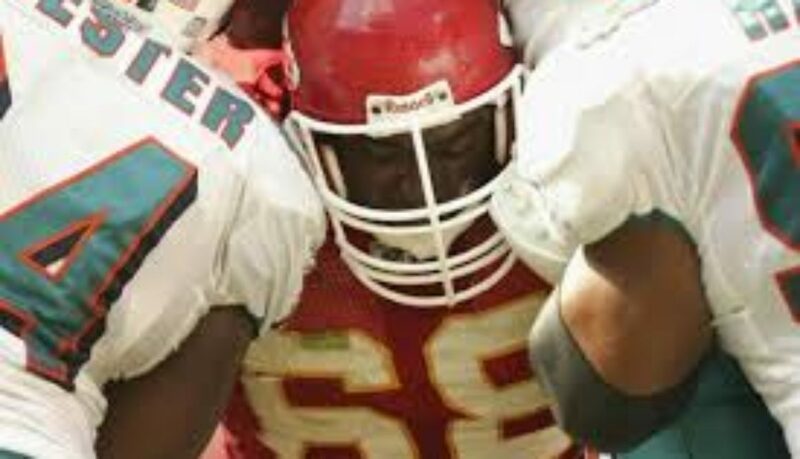 Shields played for two great coaches during his football career–Marty Schottenheimer (Kansas City Chiefs) and Tom Osbourn (Nebraska Cornhuskers)–both of which taught him the importance of team work. Since retiring from football, Shields has worked in fitness and banking. 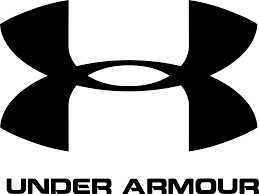 Shield currently owns and operates 68 Inside Sports, a gymnasium and sports facility in Overland Park, Kansas. His Will to Succeed Foundation seeks to guide, inspire, empower and improve the lives of those less fortunate by providing financial, educational and other everyday resources to those identified as most in need. 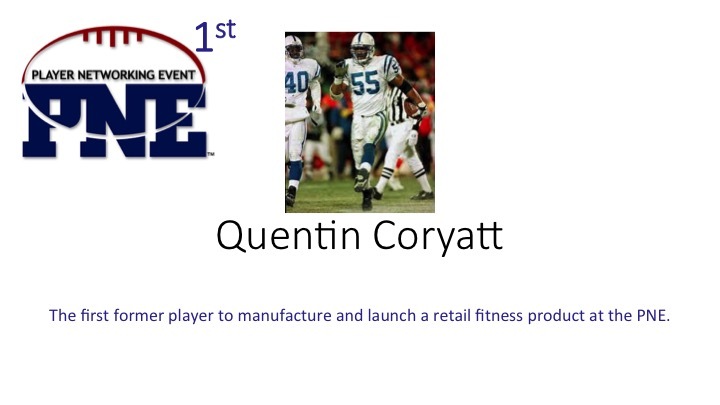 He is a motivational speaker and works as NFL Ambassador. 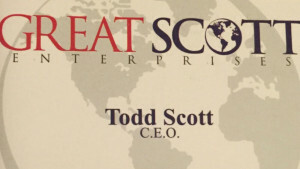 Todd Scott played eight seasons in the NFL for four different teams (i.e., Minnesota Vikings, Tampa Bay Bucaneers, New York Jets, Kansas City Chiefs). Scott, an all pro safety, traces his NFL success back to his home town. 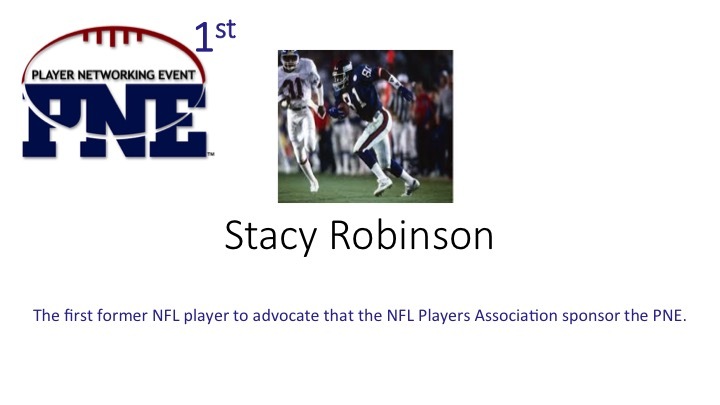 The Galveston, Texas native played little league and high school ball with a plethora of pros include: Eric Hill (Arizona Cardinals), Patrick Bates (Oakland Raiders), Kimble Anders (Kansas City Chiefs), Anthony Phillips (Atlanta Falcons), Terry Irving (Arizona Cardinals), Patrice Alexander (Washington Redskins), Tim Denton (Atlanta Falcons) and George McCullough (Tennessee Titans). He also had an all pro dad, Charles Scott, who taught him the value of education, hard work and mentorship. The mentorship provided by former NFL coaches Dennie Green, Tony Dungy, Herm Edwards and Lovie Smith taught Scott the value of giving back and applying the African proverb “each one teach one.” In addition to the coaching Scott received as a football player, he credits Pastor Kirby John Caldwell for his greatest transformation. Scott has been of loyal and faithful member of Windsor Village United Methodist Church, which lead to his vision to expand his small residential real estate business. Scott credits his tenure as a Player Development Director for the Houston Texans and the Small Business Development Center (SBDC) for his success in real estate. His model of buying single family homes and small apartment complexes has turned in to a viable small business. Simply put, Scott makes money while he sleeps with passive income from his residential real estate enterprise. 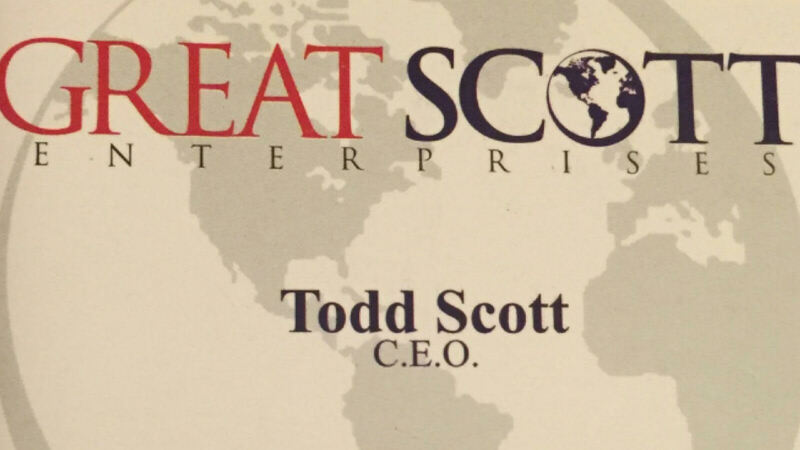 Scott has plans on expanding Great Scott Enterprises by teaching former, active and recent athletes how to leverage their net worth for life-long financial security. 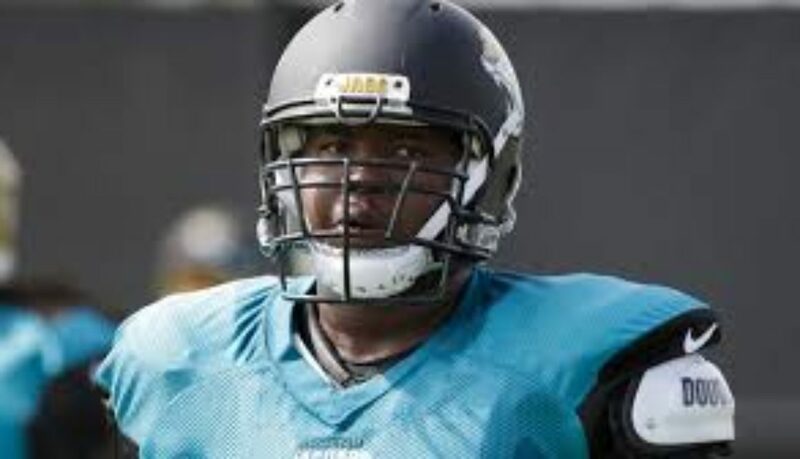 Kelvin Beachum Jr. graduated from Southern Methodist University (SMU) and was drafted in the 7th round of the 2012 NFL draft by the Pittsburgh Steelers. Steelers Head Coach Mike Tomlin describes Beachum as ” a team leader who is mature beyond his years.” Beachum, a starter in 35 of 40 NFL games played, tore his anterior cruciate ligament (ACL) on October 18, 2015. He signed with the Jacksonville Jaguars during the 2016 off-season. 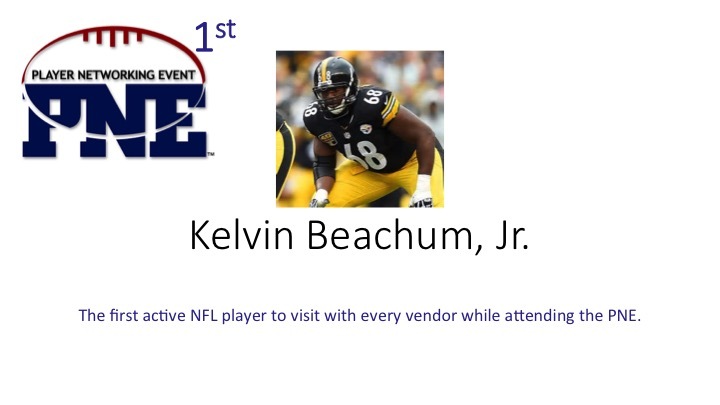 Beachum currently serves as a Brand Ambassador for the NFL Players Association. “I am a professional football player by occupation, but making a positive impact on others is my passion and purpose,” say Beachum. Beachum has taken an interest in STEM (science, technology, engineering and math) education and donates his time towards faith-based and STEM-related initiatives throughout the country. 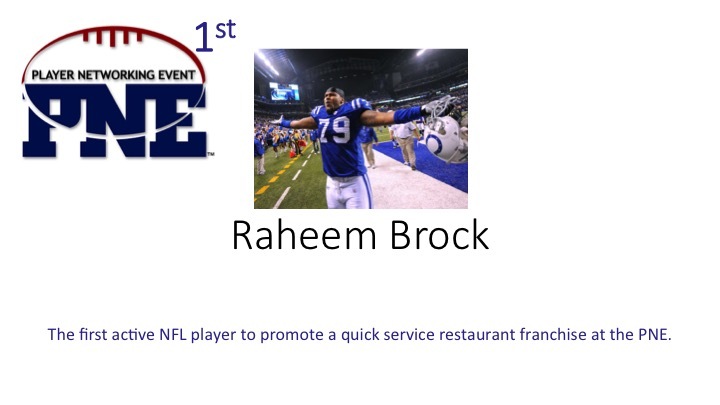 He also spends a significant amount of time giving back to the NFL’s Fuel Up to Play 60 program. Beachum founded Life and Favor, LLC, a public speaking business, in September of 2012. Attend PNE 2017 to learn more about Beachum’s life plan to leverage his NFL playing experience for a greater purpose. 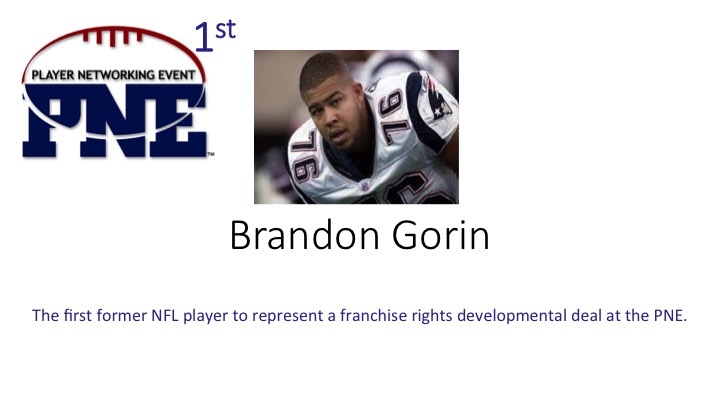 Troy Barnett played five seasons in the NFL for the Washington Redskins and New England Patriots. He starred on the defensive line at the University of North Carolina (UNC) and earned undergraduate degrees in Political Science and Sociology. 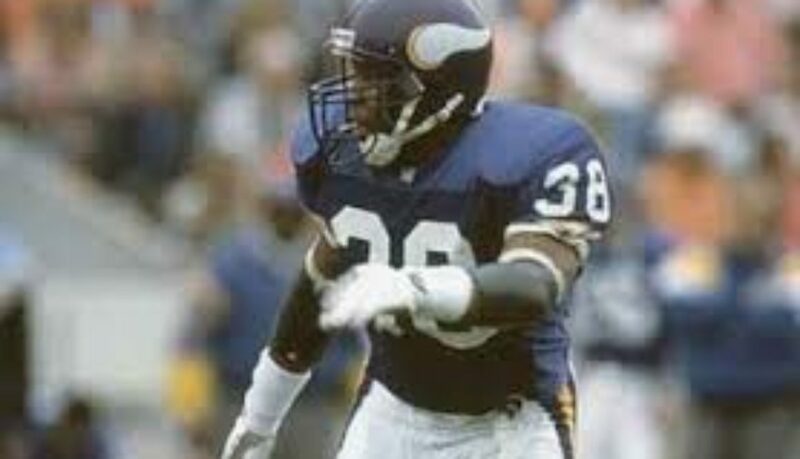 Barnett was one of the first active players to take advantage of the NFL’s Career Internship at Reebok International for two off seasons. Without any formal education or training in Information Technology (IT), Barnett developed a passion for working with computers during his internship experience. Determination and work ethic–two skills developed through playing football–helped Barnett transform into a competent IT professional. Legendary coach Bill Parcells admired Barnett’ s commitment and nicknamed him “laptop.” Barnett’s willingness to work as an intern during the NFL offseason paid off as evidenced by Reebok offering him a full-time job in IT immediately following his retirement from football. From 1998 to 2006 Barnett climbed the ladder in various roles at Reebok. 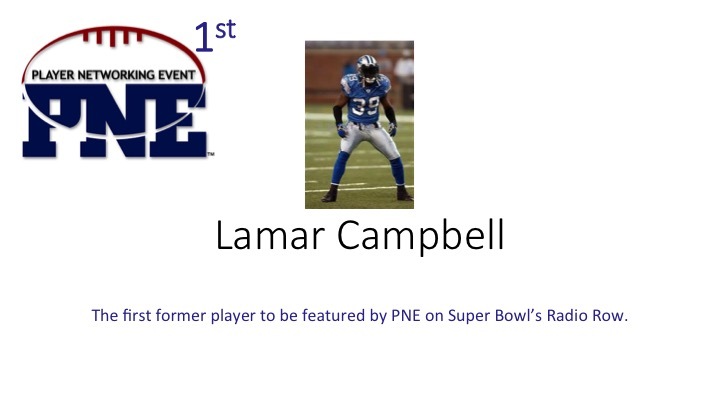 Lamar “Soup” Campbell played five seasons in the NFL for the Detroit Lions. He starred as a defensive back at the University of Wisconsin (UW) and played for legendary UW Coach, Barry Alvarez and currently works at UW in the area of student-athlete development. When he left the game, he started Life After the Game, an internet radio show on the Voice America Sports Network. He continues to hone his craft as an educator, journalist and a pioneering visionary for his courage to discuss the concussion issue long before it was popular. Click on the following link to view CNN’s Big Hits, Broken Dreams where Campbell was featured with Dr. Sanja Gupta. Ellis’ post-NFL life maps nicely to Hayes’ quote of getting back up. 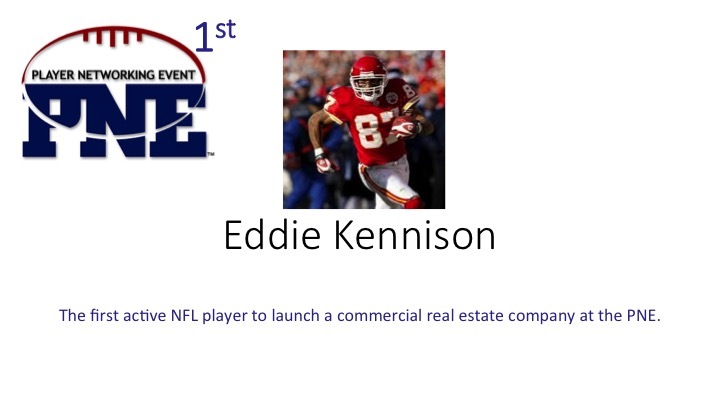 Ellis, a self-described serial entrepreneur, has funded and operated a plethora of ventures since leaving the NFL (i.e., microbrewery, commercial real estate, publishing, software development, workforce development). He currently serves as the Sports Director for Voice America Sports, where his is responsible for creating sports-related talk shows. 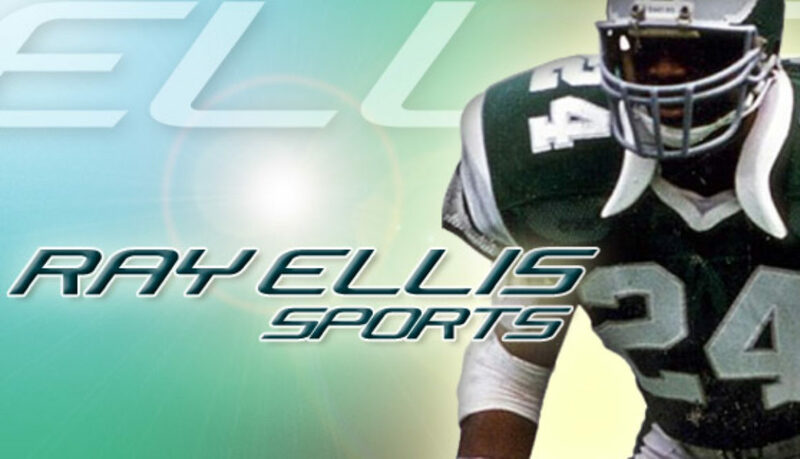 Ellis has build a niche by providing former football players with a platform to work on their craft as journalists. He also hosts his own show, Ray Ellis Sports. 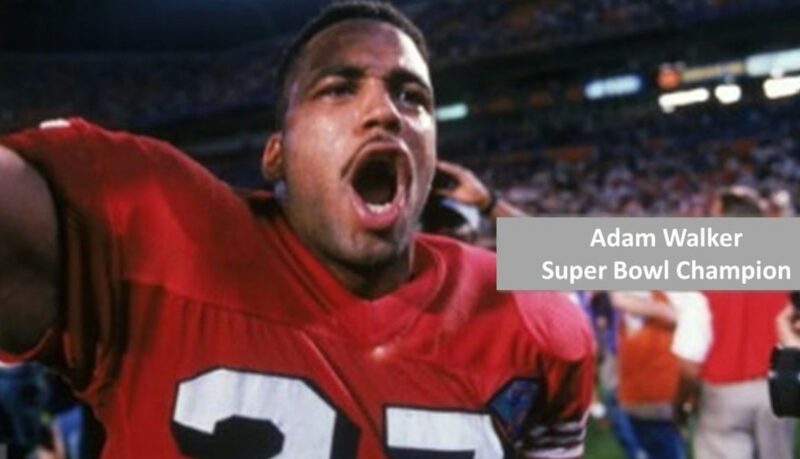 Adam Walker played five seasons in the NFL for the Philadelphia Eagles and San Francisco 49ers, and served as Special Teams Captain for the 1994 49ers Super Bowl XXIX championship team. Since leaving the game Adam has taken his passion to compete into various professional opportunities including human resource consulting, real estate, and his most recent venture, Summit Container Solutions (Summit). As CEO of Summit, a multi-million dollar corporation, Adam has implemented a growth strategy focused on technology, innovation, new market expansion and Mergers and Acquisitions. Summit delivers solutions and services that improve how customers do business by offering various productions and services (i.e., telecommunications and ESP protective packaging, vendor management solutions, warehousing fulfillment, specialty corrugated packaging, custom design packaging and corrugated containers). Spencer Tillman played eight seasons in the NFL with Houston Oilers and the San Francisco 49ers. 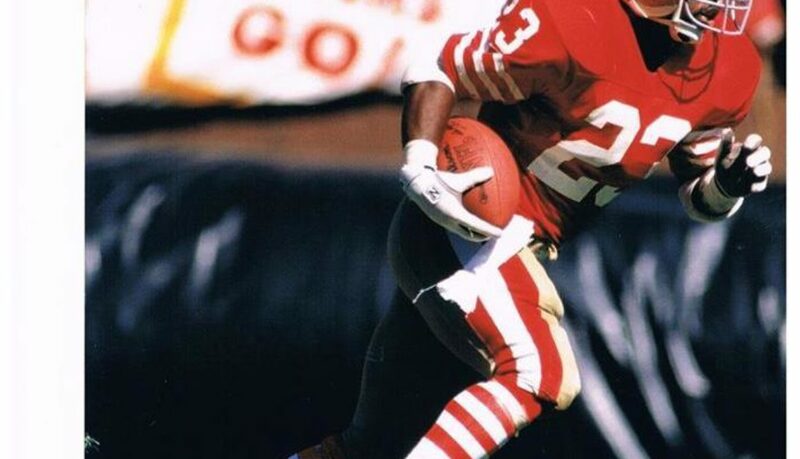 He served as co-captain with Joe Montana and Ronnie Lott for the 49ers team that won Super Bowl XXIV. During his playing career, Tillman worked tirelessly to develop as sports broadcaster, often times leaving football practice to work in the studio. His commitment to his craft created multiple opportunities at the conclusion of his playing career. He served as lead studio analyst for CBS’s College Football Today for over a decade and currently works for Fox Sports as a color analyst for college football. Ray Mickens played nine seasons in the NFL (eight for the New York Jets). He built his brand as a premiere nickel back and along the way became interested in entrepreneurship. 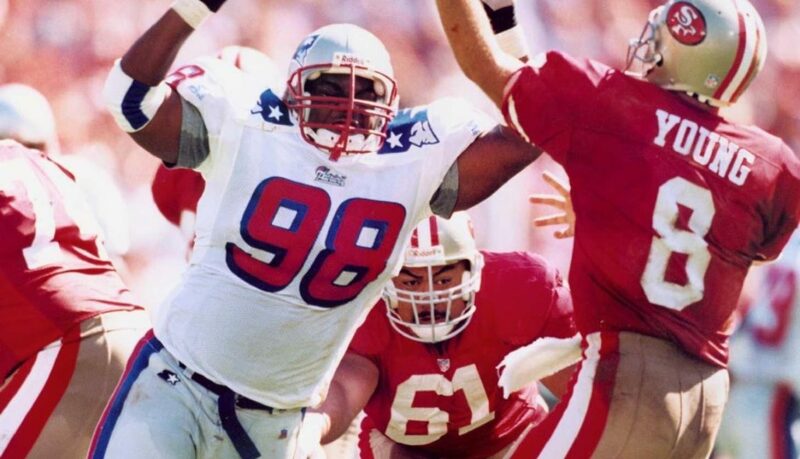 Jets teammate Keyshawn Johnson introduced Mickens to the restaurant business during their playing days in the NFL. Mickens learned the business from the ground up and has built a solid reputation as an airport concessionaire in Dallas, Texas. Mickens, Inc. operates several airport concepts (e.g., Qdoba, Jack in the Box, Starbucks, Einstein’s Bagels, Dunkin Donuts, Famous Famiglia , etc.) and continues to grow as an enterprise. His most recent joint venture, Blue Mediterranean, has received raves of reviews since opening in Terminal A of the DFW Airport. Bleu Mediterranean provides an upscale environment with the finest cocktails, wines and spirits. John Gilmore played for four teams (i.e. New Orleans Saints, Chicago Bears, Tampa Bay Buccaneers, and the Pittsburgh Steelers) during a his nine year NFL career. John’s new team–Brandthumb–is comprised of professionals with over 50 years of combined experience across an array of disciplines. Brandthumb, a cultivator of brands, provides consultation, innovative ideas and connections that move businesses forward. His organization develops and executes strategies that drive awareness and excitement for its clients. 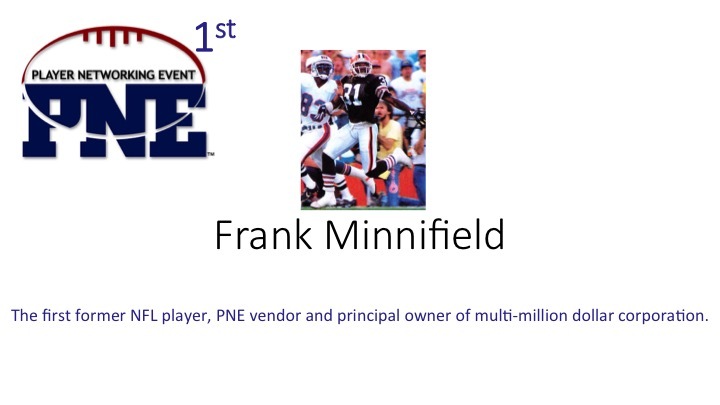 PNE is excited to have Brandthumb as a strategic partner helping with branding, marketing and strategic planning. 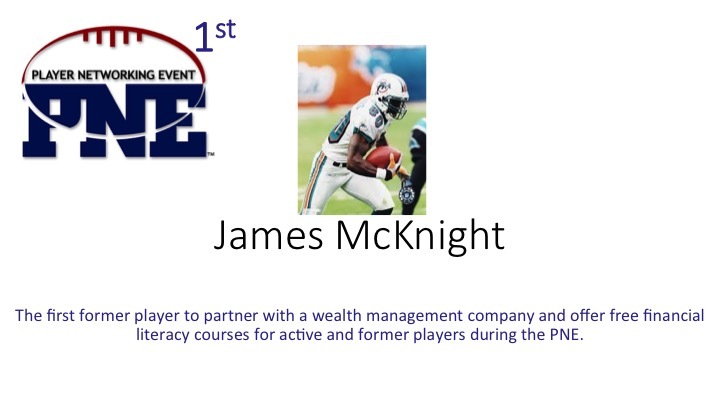 Derrick McCray is a former professional football player in the United States Football League (USFL). 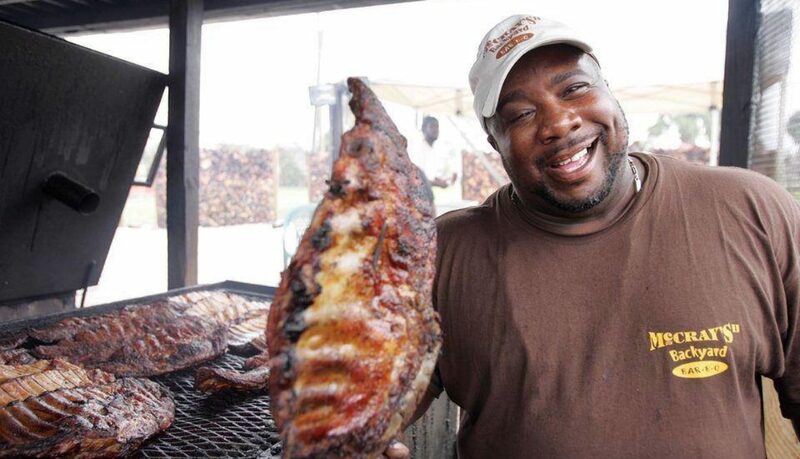 He inherited McCray’s BBQ from his father. McCray is building a world class brand through two transferable skills he learned while playing football: hard work and perseverance. Abe Elam (former Dallas Cowboys). McCray’s BBQ provides evidence to the world that athletes can work together in business with integrity and profitability.